Create a sparkling birdhouse for your home or garden! 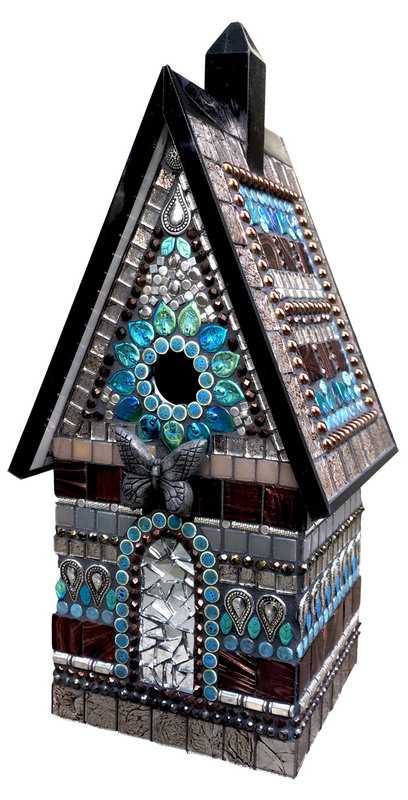 You will learn the fundamentals of the "direct method" as we work intensively with beads and tile to create a sparkling and whimsical birdhouse. The birdhouse base has been custom made for me and is completely weatherproof. I will pass on the techniques I have honed over the past 14 years using beads and glass tiles. Come to learn; come for the pure joy of creating!. How to apply beads the magical way!